Establish authority and gain trust by creating valuable content across multiple channels. ACTION IDEAS: Blog consistently. If it's at least once a month, make sure it's once a month. Topics should be relevant and timely, used across many channels. If it's mentioned in an eNewsletter, mention in it in your blog and social media. ACTION IDEAS: If Facebook is where your target market is and your goal is to build more likes in order to reach them better and start converting them to customers then consider running a social media campaign via a direct mail postcard with a special offer when they like your page. ACTION IDEAS: Consider it a new rule that with every blog post, there is always an image -which is also good for SEO. HubSpot is a great resource for free infographic templates that can help visualize your content as well. ACTION IDEAS: Keep in mind that the Apple and Google brands are very recognizable, so they don't have to say much to get their message across. Smaller, lesser-known companies or organizations just may have to. However, always keep in mind how your target audience may respond - minimize possible confusion at the very least. Ensure that all your marketing efforts—whether on the Internet or offline print pointing to online content—provides a positive experience for mobile users. ACTION IDEAS: We're all in the same boat working on keeping up with the fast-paced dynamics of mobile marketing, so be on alert as to ways to help make content more accessible on mobile devices. Email templates are also starting to be developed in responsive formats to fit mobile screens of all sizes, so be open-minded to exploring what works best for your customers. Learn more about responsive email marketing templates from Website Magazine. 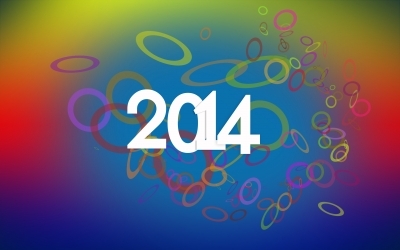 Need some further help with incorporating these strategies in 2014? Give us a call: (520) 571-1114. Read more about SPECTRUM'S XMM (CROSS-MEDIA MARKETING) SERVICES. Original Source: Forbes Magazine, “The Top 7 Online Marketing Trends That Will Dominate 2014” by Jayson DeMers. Action Ideas provided by Spectrum Printing Company.